UK waters offer a rich and diverse abundance of creatures, many of which you will get to see first hand when sea swimming in Pembrokeshire. Sea swimming in the UK is a perfect way to get close to nature: swimming in the open ocean - you cannot get any closer to nature than that! We have everything from the usual sea fish like mackerel, bass, skate, mullet and more, to mud sharks (aka dog fish), numerous species of jelly fish, spider crabs, hermit crabs; and even seals. Then there is the bird life - expect to see all manner of sea birds when you go sea swimming with us, from common seagulls to razor bills, puffins and more, as well as hawks like red kites and buzzards. 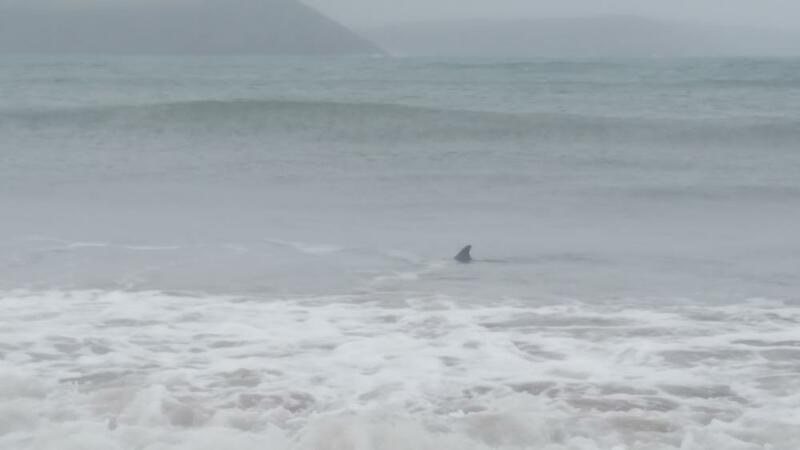 There are several species of sharks present in Pembrokshire waters too, but they are generally out in much deeper water and rarely, if ever seen near to the coast. 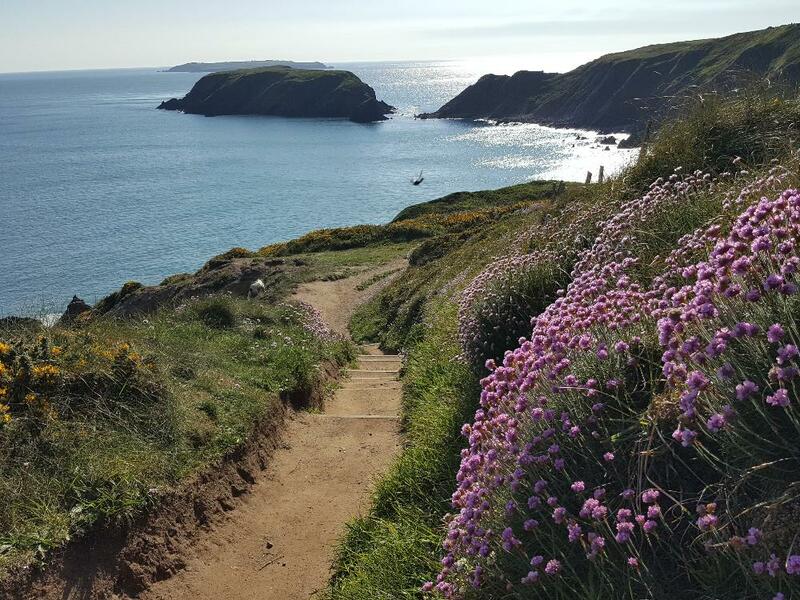 We've compiled a list below of wildlife you may see exploring the Pembrokeshire coast, from the most common to the most exotic! Common fish you may see are Bream, Bass, Mullet, Wrasse, Conger, Rockling, Pollack, Mackerel, sharks and rays. Probably the strangest fish you are likely to see is the sunfish. This fish can be huge and circular shape. Round and flat, it swims upright with huge fins on top and underneath, sometimes it can be seen swimming right near the surface, it appears it does this to warm itself by the sun. They are regular visitors to Pembrokeshire during the summer, and can be seen off the coast or around the many islands. There are many species of jellyfish around Pembrokeshire, that are most common around June/July. A very comon jellyfish seen all over Pembrokeshire is the Barrel jellyfish, a large animal, they often unnerve people because of their sheer size. Growing up to 80-100cm across, they are quite heavy and if you bump into one it can be quite a shock first time round! Although they can be a bit unnerving when sea swimming, they generally swim 1-2 metres below the surface and are easy to avoid. They can produce a miles stong but the thick frilled arms are easy to see and avoid. Once you get used to them and even swim down to take a close up look, they're pretty amazing though and are hypnotic to watch as they gracefully move through the water. Barrel Jellyfish start making an appearance in April and are around until July. There are a much smaller but equally as common jellyfish found in Pembrokeshire from around May to June or July. Other specieis include the lion’s mane jellyfish, the moon jellyfish, the compass jellyfish and the blue jellyfish. These can all irritate your skin when touched but not painfully so, however we would advise to give them some distance just in case their tentacles get you in a soft spot! As you can see from this video they dome in large numbers at the start of their 'season'! 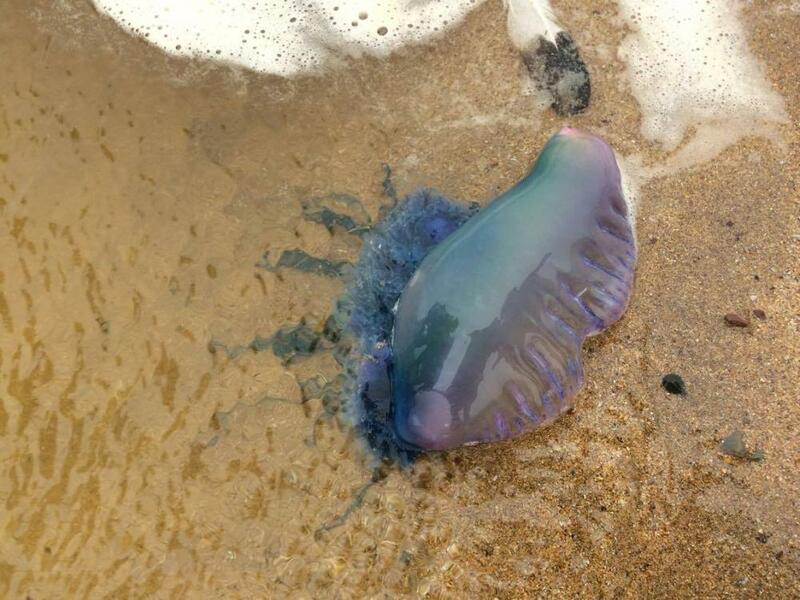 The Portugese Man 'O War is sometimes seen around Pembrokeshire but we have not come across them however it is useful to know what to look for - they are almost like an inflated bag with a blue tinged top with long tentacles, should you think you see one as these will give a nasty sting. Stay well clear of anything you suspect to be a Portugese Man 'O War and you will be fine. 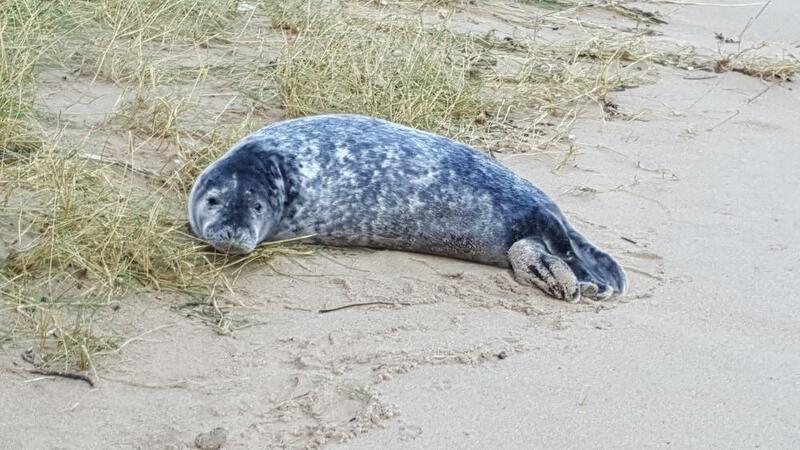 The common grey seal comes every year to many beaches in Pembrokeshire to give birth to their pups. You can see them all along the coastline, especially when walking the Wales Coast Path - some beaches like Bullslaughter Bay are even named after the sound of the male bull seals. The seals arrive around August-September in mass, but can be seen earlier than that. If you are lucky enough to encounter one while sea swimming it is a great experience. They may or may not come close to you but even if they keep their distance, they are highly curious and will often follow you from 20-30 metres away, popping up to take a look now and then but keeping their distance and often following you as you swim or walk along the coast path or beach. Seals are wild animals though and pups are easily stressed and mothers are protective and the bulls are very large animals. Keep your distance, give them the respect these wild sea animals deserve. Dolphins and porpoises frequent the Pembrokeshire coast. You are not likely to see them readily when swimming close to the coastline although they can sometimes be seen from the cliff tops along the coast path. Jelly fish come to Pembrokeshire's waters every year in their thousands. Where you find jellyfish, you will find turtles. Normally thought of as a tropical animal, there are several species of turtle that frequent the seas around Pembrokeshire. The most common turtle species seen in these waters is the leatherback turtle, a reptile that can grow to 6 feet in length. Other turtle visitors include the loggerhead, kemp ridley and hawksbill turtle. In fact, British waters have an abundance of shark species, but the reality is that you will probably never see one, so there's no need to get concerned or imagine hearing the 'Jaws' tune when you get in the water! Most people prefer to keep it that way of course, but in fact sharks have received a lot of bad press over the years and their fearsome reputation is unjustified. Species found in Pembrokeshire waters range from Blue Sharks, to Basking Sharks, Porbeagle Sharks, to small 'mud sharks', also known as Dog Fish. We have seen mud sharks swimming about in the kelp on the northern end of Barafundle Bay and around Stackpole sleeping on the sea bed in Freshwater East. In 2016 a 6-foot Blue Shark was caught by a fisherman off Milford Haven and a member of the public also snagged a 6-foot shark at an undiosclosed location in south Pembrokeshire whilst fishing. Recently in 2017 some guys fishing for mackerel in Lydstep noticed a 250lb Porbeagle Shark stealing their catch in just 10 feet of water. Porbeagle sharks bear an uncanny resemblence to the infamous Great White Shark, but these sharks feed on bony fish and cephalopods such as squid and is in fact considered as a game fish by recreational anglers. However, these sightings are extremly rare. If you are lucky enough to encounter one of these magnificent animals in the wild, stay calm, treat it with respect and just move away. None of the species found in UK waters would consider humans as a potential food source, as do Great Whites or Bull Sharks, so do not worry or let it put you off exploring the coastline whilst sea swimming. Many people wait a lifetime to see these creatures in their natural habitat and having seen them in various locations while SCUBA diving in Asia, they certainly are an amazing sight. Crabs and lobsters about in Pembrokeshire. You will often see them along the rocky coastline when entering/leaving or swimming in the water. Some large spider crabs can be seen around Stackpole Quay and Freshwater East when they are in season. Tenby is the best place to sample and there are many shops, stalls and restaurants offering dressed Pembrokeshire crab. Common sea birds around the Pembrokeshire coast include razorbills, common seagulls, cormorants, hawks such as buzzards, kestrels and the occasional red kite and last but by no means least, the very affable puffins. 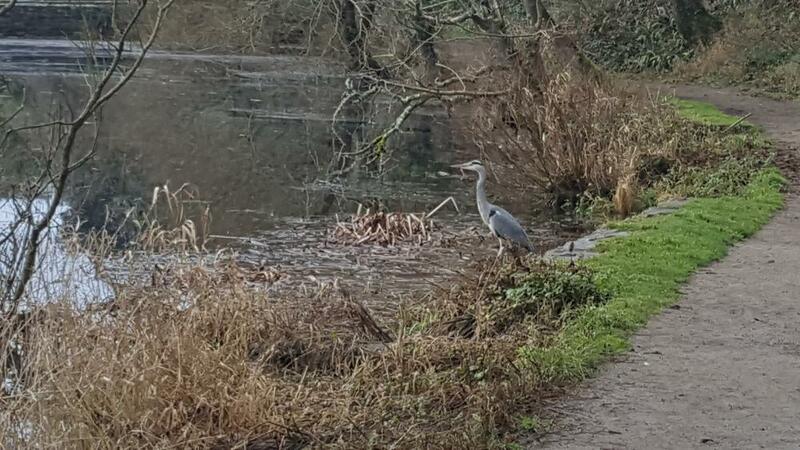 In addition there are always a wide variety of waterbirds to be seen at the numerous inland ponds and lakes in Pembrokeshire, such as Bosherston Lily Ponds. 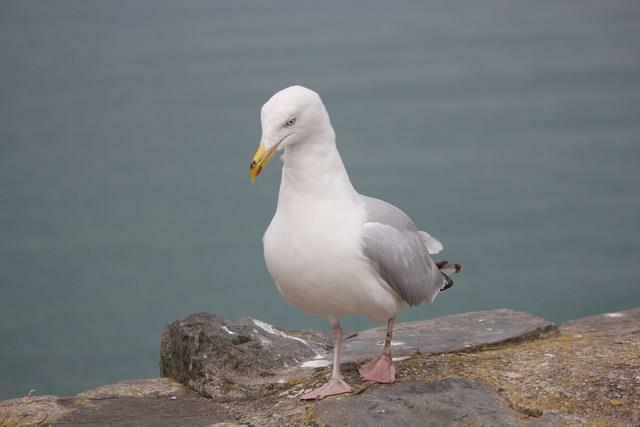 The common seagull can be seen pretty much everywhere in Pembrokeshire but watch your food! 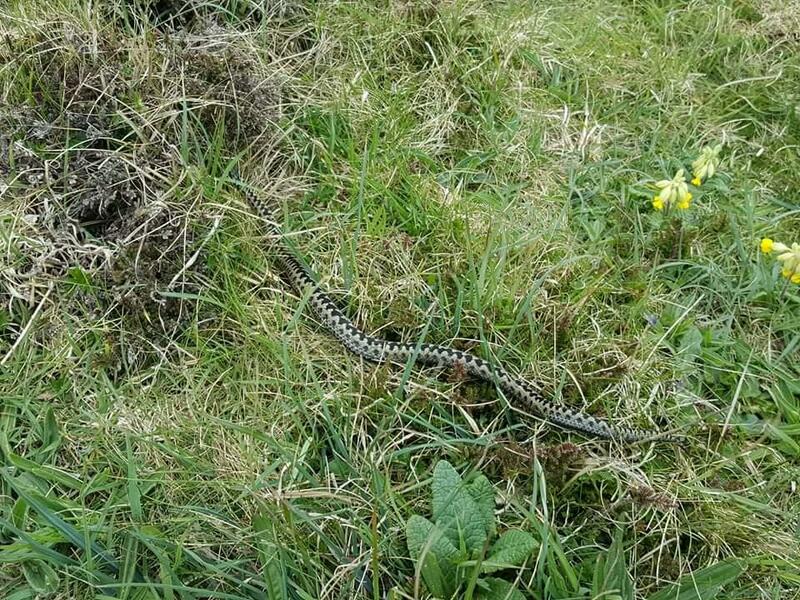 There have been quite a few sightings of Adders in 2017 including sightings in Freshwater East and this one below, which we spotted on the coast path near Little Haven. Shy and elusive, they are unlikely to be seen unless they have been sunning themselves beforehand and are a little slow as a result. They will likely hiss to let you know you are too close before trying to quickly hide. Young kids and dogs are at most risk as they may not know what they are looking at until they accidentally step on one. If bitten the best advice is to rest the bitten limb to avoid excessive heart rate and seek immediate medical help. 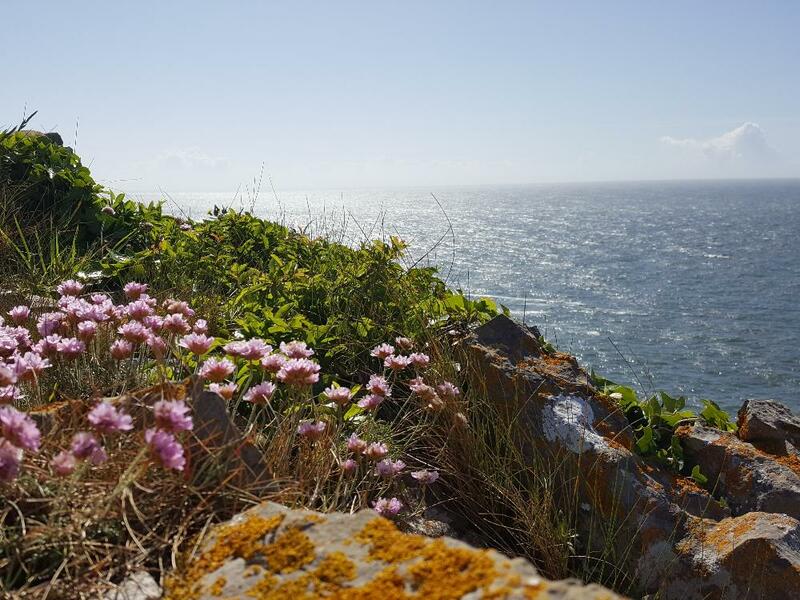 There are countless species of flora and fauna in Pembrokeshire, whether it is in the Preseli Hills or along the coast path. 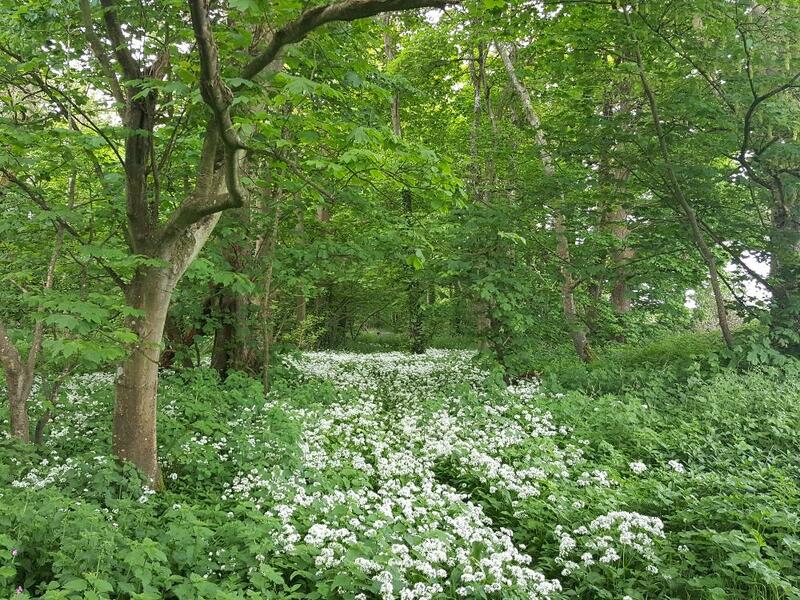 Spring is a great time to visit as all of the wild flowers are in bloom and are truly spectacular. 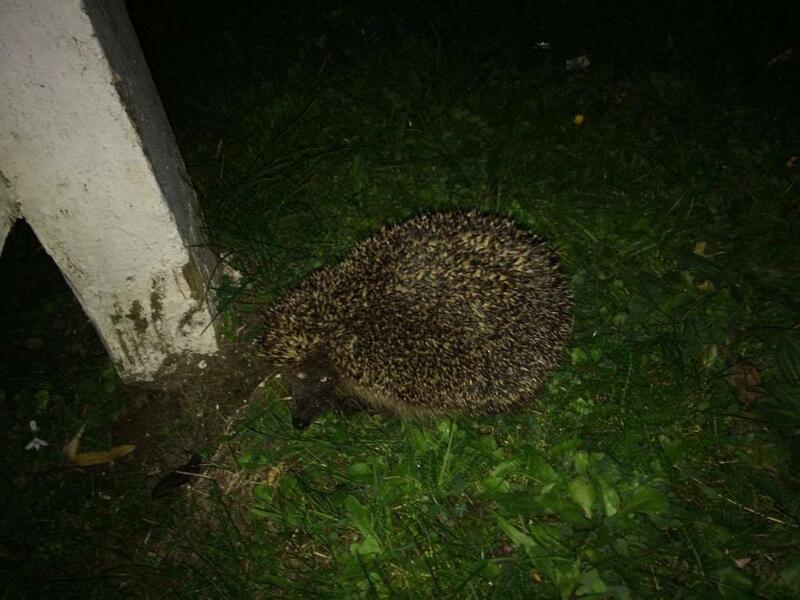 Other widlife you may encounter when in Pembrokeshire will include all of the other standard wildlife found in other areas of the UK such as voles, mice, rabbits, weasels, hedgehogs, badgers and foxes. If you see something, take photos by all means if you are quick enough, but other than that it is best to leave the animal alone to lessen the impact of your presence, well meaning though it may be, letting it go about its business to return another day. 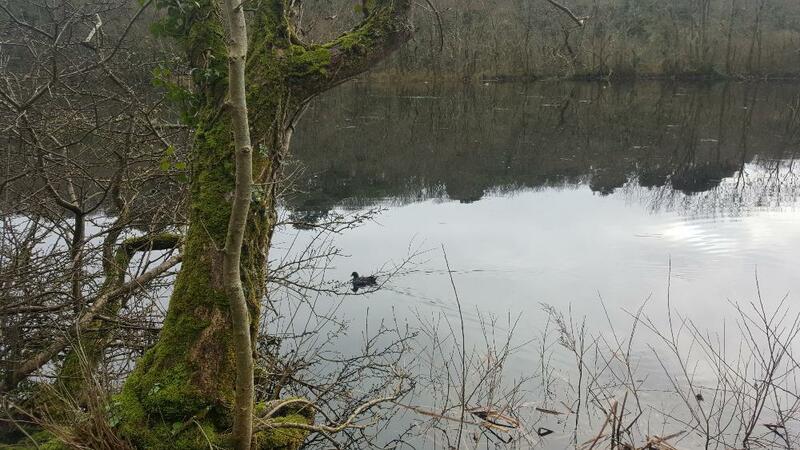 There is a lot of information online about the wildlife of Pembrokeshire, but not surprisingly, the National Trust's website is great, this page deals specifically with wildlife.